Add some serious muscle to your body without the fat that can come from high carbohydrate diets. PURE WHEY PROTEIN STACK is an effective way to build and maintain lean muscle mass whether you are planning on bulking-up or losing fat. This powerful protein supplement is made with 100% high-quality protein, which makes it an excellent choice as an alternate source of dietary protein. In 2009 Champion couldnt leave a great product alone, and changed the formula for choc stack. Now it tastes less choclatey and more thin like water, and sawdust like. They messed with a great product and sacrificed taste and texture. Am looking for what Champion Stack used to be, thick, tasty, nutritious. Cant recommend Champion Stack at all. Will be trying other whey power products instead. New to this kind of protein/weigh training regime. Decided to boost protein and tried two other products, but they were too sweet (using sugar) and had less protein/gram. The vanilla I mix with regular (full-fat), plain yogurt and add a bit of granola. Calories are still not bad and tastes great. I've tried a lot of different whey powders and this one does work very well. My only complaint is that the VANILLA tastes terrible. It mixes very fast with water or milk, no clumps left behind after minimal stirring. Just drink it fast and enjoy those results . I use immediately after strength training. I'm on my second round of "getting back in shape". Out of curiosity, I did NOT use the supplement to start out with. I knew quickly that it DOES make a difference. I see much quicker recovery times and am able to get past "walls" because this product makes me ready for the next workout. It mixes to a perfect consistency with skim milk and a cheap-o $ Store stick mixer. It tastes like a (sweeter) frappuccino. It is so good it's hard to believe you are getting so much protein/aminos from it! Try the banana scream. It's sooooo good!!!!!! Mixes better than average with milk. 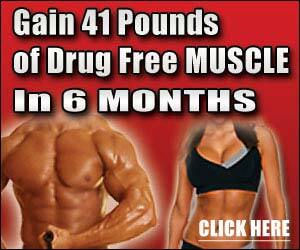 Has a high BCAA content and high glutamine precursor content. My only gripe is that vanilla had a funky aftertaste, like bazooka chewing gum (possibly due to the sweetener Acesulfame-K). If you're used to Acesulfame, then go for it, but if you're an aspertame guy like me, choose a different flavor or brand. Pretty standard amino profile for a world class whey protein, like all the best ones - Optimum 100% Whey, etc. But the taste is second to none. I've only used vanilla so far and it mixes perfectly in water, milk, oatmeal, you name it - I've tried everything. It tastes just like molten ice-cream! I have hated protein powders, especially chocolate ones (I could tolerate vanilla) until I met up with Champion Whey Chocolate Stack. Absolutely the best. I do one scoop in water with a tad of sf chocolate pudding mix and a half teaspoon of peanut butter and it tastes like a reeses. the best chocolate out there, BY FAR. And I've tried just about all of them. So far I've bought 2-3 tubs of this stuff (the chocolate flavor) and it not only works better than most whey, it also tastes the best. Definitely give it a try. Make sure you look up directions on when and how much to take because the tub doesn't say. Ask the person selling it to you or look online. Always take 1-2 scoops right after workouts though. It's a good thing to have as a protein suppliment in your diet as well. Best with milk (preferrably non-fat). Hope this helps. I did a comparison to other protein powders that are offered, and it became apparent that this stood out as the best one available. It offers the best protein/serving ratio. Plus, it tastes great, and the vanilla is fantastic with frozen fruits. All in all I really enjoy this powder, and its giving me good and fast results. Well, its here! Great tasting and loaded with all the protein and BCAA you need for building quality muscle. I've gone from product to product looking for a protein powder that packs all the necessary nutrients and high protein needed for building solid muscle and this is it. Double up the scoops for 46 grams of protein and this stuff doesn’t taste like concrete mix. I'm sold on Champion's protein. If you’re tired of the others, give it a try. You won't be disappointed. Very good product from champion. The taste (all flavoers) is yust great! Very good quality for soo litle money. I've used Champ's product for about 8 months now after moving from product to product. This product tastes absolutely great, EVEN WITH WATER! Absolutely no chunks when mixed in a shaker. Huge amount of protein per serving (i usually use two scoops) I've checked out one serving packets of the new wave of protein powders that have come out recently, and Champ's why product still leads the pack. highly recommended.